The Toyo Open Country M/T is a light truck and SUV tyre designed to provide exceptional performance in muddy off-road conditions. The Open Country Mt Tyre has tread blocks that extend to the tyres shoulder for self-cleaning in mud and other loose surfaces. 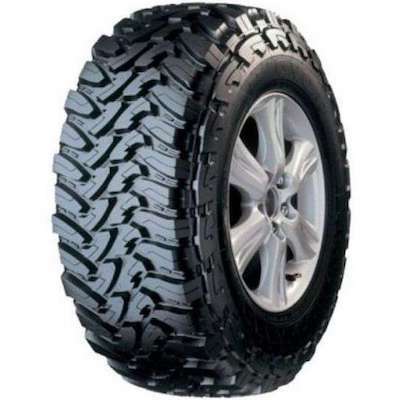 The Open Country Mt has an aggressive, high void ratio, block type tread pattern for grip in deep ruts and when running on low inflation pressures for rock climbing. The Open Country Mt has reinforced sidewalls for protection against damage and puncture. The solid and stable carcass of the Open Country Mt allows for sharp steering response and excellent stability and uniformity.